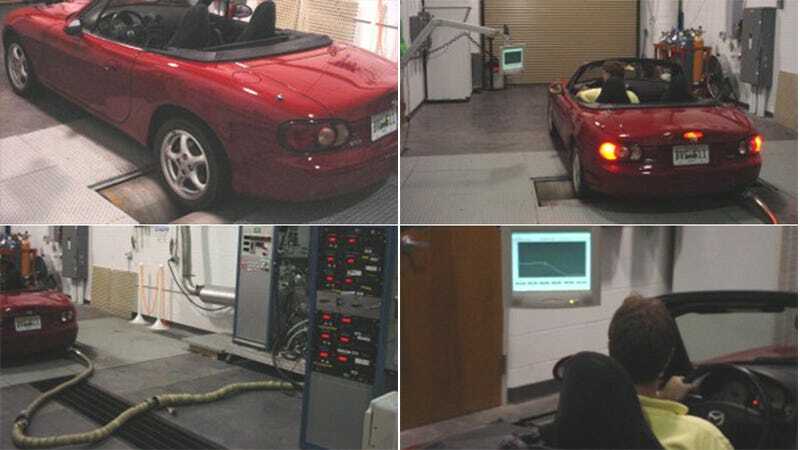 The EPA rates your car’s fuel economy through a driving cycle on a dyno meant to replicate city and highway driving. Sure. OK. But I don’t get why they don’t also rate your car, like, exactly in actual highway driving. The question of how realistic emissions testing driving is came up today when we got our first numbers in on how the German auto industry is handling the new WLTP driving and testing regimen. Sales are down 30 percent as carmakers struggle to get existing cars to pass standards they really should have been meeting for years. And this brought up the whole question of your EPA rated cleanliness and efficiency not matching your real-world driving. This is when Ash78 chimed in with, honestly, a great idea. The EPA does have a “high speed” test that it factors into its ratings, but this also includes starting and stopping, getting up to speed and not. Speeds go through the 60, 70, and 80 mph ranges, so this isn’t, like, a huge stretch for the EPA. Why Do European Cars Get Better MPG Than US Cars?